For a limited period, we have available a Genuine Honda Civic “Magma” Sports Grille. 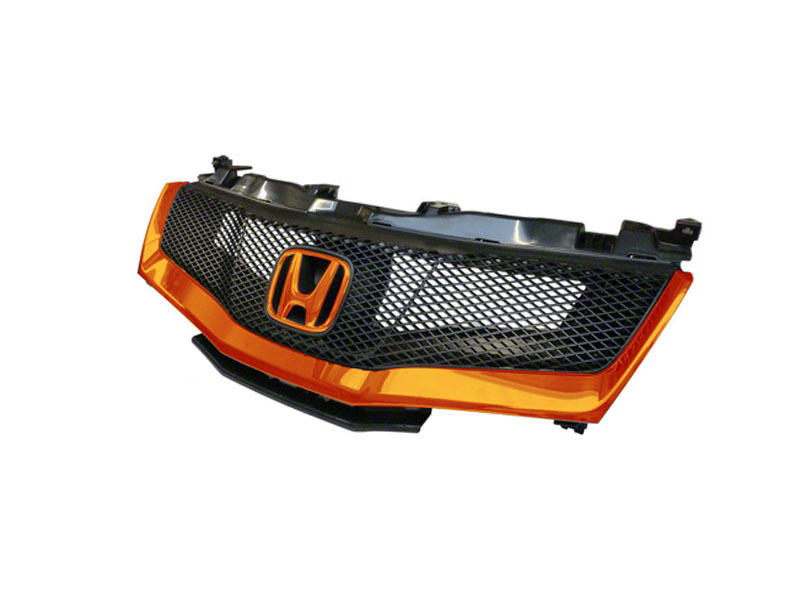 The lower part of the grille and the H emblem are colour-coded Tangerine Metallic. Please allow an extra 14 days for delivery when ordering this grille option.